*Below is an excerpt from my Mothering with heART e-course that begins tomorrow! You still have time to join us by visiting here. This quote reminds me why I’ve invited you to join me on this Mothering with heART journey. It doesn’t have to be said that this job is a hard one. Not always. Sometimes there are moments of effortless flow. And then there are the moments where it feels like the tantrums, the mess, the noise, the problems, the piles, the dishes, the laundry, and the overwhelm will never end. Our head hits the pillow. And we start. all. over. again. Mixed within those days where you wonder how you will make it until bedtime, are those moments of pure bliss. Your little one picks a flower for you. He leaves you an “I love you” note. Your teen opens up about school. She thanks you for a great dinner. He looks up at you with that look that completely melts your heart. You remember why you started this journey in the first place. Being a mother isn’t about perfection. The mess, the heartache, the celebrations, the joy, the laughter, the sadness, the struggle, and the overwhelm are all a part of being a mom. The gift comes when you can live more presently and peacefully – in ALL the moments that motherhood brings. It is true, that when you feel more relaxed and centered, you simply feel better. When you take care of your needs, it’s easier to stay connected to your children, you think more clearly and you can more smoothly swim through the ever-changing ups and downs that are inevitable in life as a mother. In Mothering with heART, we use creativity and reflection as a tool to connect to our intuition – the place that is here to guide us. It’s there, your intuition, that knows when your inner dreams are ready to manifest. It’s there, your intuition, that knows when there’s something wrong, despite what others say. It’s there, your intuition, that knows when you need to get quiet first, before you make that big decision. It’s there, your intuition, that knows when you are letting fear get in your way of living a more fulfilled, joyful life. Creative activities – like writing, playing with paint, making art (to name just a few) – help you relax and return to FLOW. As a mom, we are interrupted about every 12 seconds! (I’m making that up, but doesn’t that seem accurate?) And after a while, it’s easy to get caught up in the glorification of busy. But it’s in stillness, quiet, and creative FLOW that help us stay connected to our hearts – our intuition, creative center, the all knowing place – that reminds us of our greater purpose in life. So today, and for the next three weeks, we will step back into flow. And we will integrate this flow with and alongside our children. Because if we wait until they are napping, distracted, at school, or older – it just may never happen. Your kids don’t want a perfect mother, they just want a healthy, happy you. 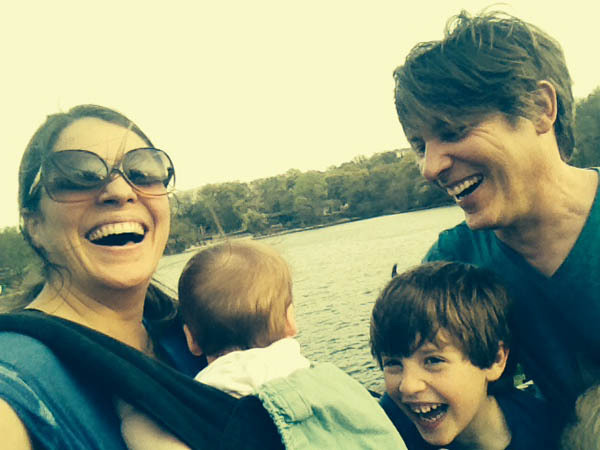 Mothering with heART is about mothering YOUR heart. Embracing your imperfect moment, your imperfect children and your imperfect, beautiful life starts NOW. 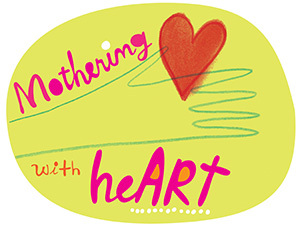 Mothering with heART starts tomorrow! Give yourself a great gift and join us!